partypoker’s 2018 MILLIONS Online is set to begin on November 25 and with $20 million guaranteed, it is poised to be the largest prize pool ever for an online tournament. In 2017, the partypoker MILLIONS Online guaranteed $5 million with the eventual winner, Jon ‘apestyles’ Van Fleet winning a career-high score of over $1 million. This year, with the prize pool quadrupled, whoever takes down the tournament will walk with no less than $2.5 million. In 2018, everyone who finishes in the top four spots will each become an instant millionaire. With such an ambitious guarantee on the line, partypoker is pulling out all the stops in helping people qualify for the $5,300 buy-in event. 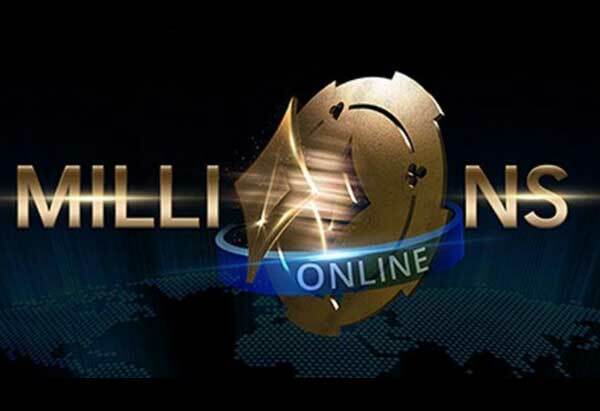 partypoker is offering over $10 million in satellites seats to the MILLIONS Online tournament. From working through the partypoker satellite tree to massive mega satellites, there is no shortage of ways that players can win themselves a seat into the event. The MILLIONS Online feeder satellites start at just $0.01 and provide a path to winning a ticket at the $5,300. Along the way, partypoker will be adding additional bonus tickets to the next level of Feeder tournaments. This will help players continue to keep people qualifying for the next buy-in level. Finally, winners of a $550 ticket will qualify for a shot into the $5,300 tournament. Players can opt to register at any price point as to start the satellite phases wherever they are comfortable with. Stepping through the partypoker phases is certainly not the only way to get into the tournament. The site is offering additional buy-in levels as the Main Event grows closer. $55 Bonus Satellites will be running daily. In each, the site adds an additional 10 $530 tickets to the prize pool. Also scheduled are daily $530 satellites that will guarantee a set number of $5,300 seats. The largest offering of Main Event seats will be from the $530 MILLIONS Online Mega Satellites. Each MILLIONS Online Mega will guarantee either 25 or 50 seats per tournament, with multiple tournaments running every day from November 25 – December 4. Over 1000 seats in total will be distributed during the 10-day stretch. $109 Phase satellites are the multi-starting flight affairs that allow players to build a stack and carry their chips into the weekly final satellite. Players can register for as many of the $109 tournaments as they like and their largest stack will be brought into the weekly Sunday tournament. In addition to all of the satellites offered, partypoker is turning seats to the Main Event as a top prize for their $10 three-handed Sit N’ Go Jackpot tournaments. Granted, the likelihood of binking a $5,300 seat is not very high (only 20 out of every 1,000,000 played). However, there are additional satellite tickets up for grabs to help players get on their way to winning their seat. A special note about the Sit N’ Go Jackpot tournaments. If the winner of the 2018 MILLIONS Online won their seat through a Sit N’ Go Jackpot partypoker will double the first place prize to $5 million. In addition to all of the satellites and Sit N’ Go Jackpot tournaments, 10 seats will be given away to the top 10 players at every partypoker LIVE MILLIONS event in 2018. This includes the upcoming Caribbean Poker Party which takes place from November 9 – 18 at the Baha Mar resort in the Bahamas. Step satellites and Sit N’ Go Jackpots are currently running online. A full slate of Bonus, Phase and Mega satellites registering under the Satellites tab in the partypoker client.